Think for a moment about how the world would be if everyone was the same. 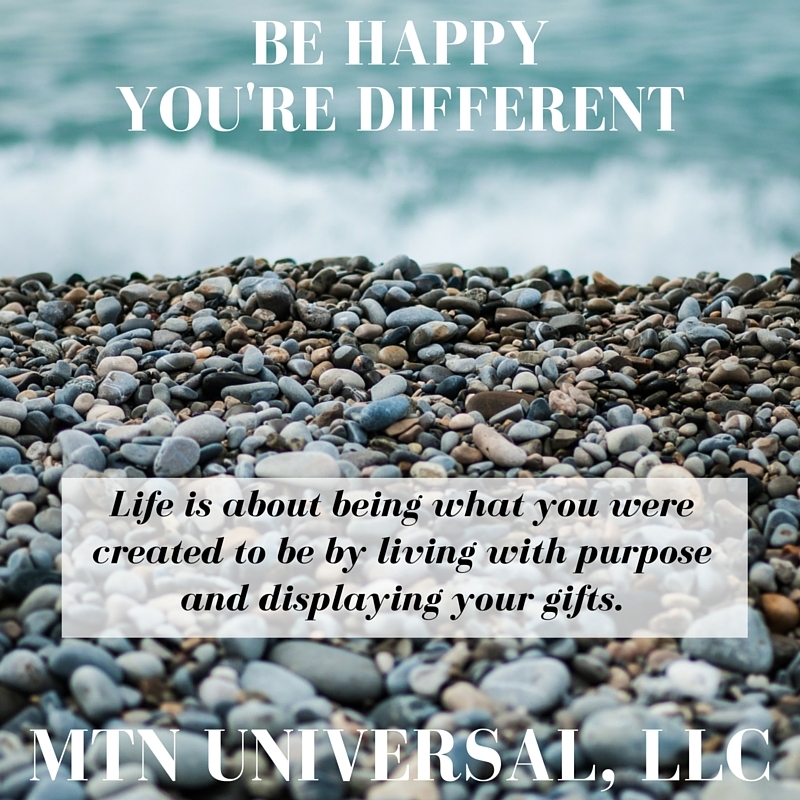 Life is about being what you were created to be by living with purpose and displaying your gifts. It bothers me to see people trying so hard to be something they’re not. God only made one of each of us. And that individuality causes us to set ourselves apart from anyone else. It makes us different. People you see leading in dynamic ways have discovered the unique difference God created in them and are able to capitalize on it. Well for one, you have to accept you are different. No one was created like you on this Earth. Even if you are an identical or fraternal twin, you are still quite different. You may not feel comfortable with your difference, but you need to know your differences are what can change the course of your life. Let’s take a business looking to hire a specialized employee. They aren’t going to hire an applicant that looks like every other applicant. The organization hiring will be looking for a “stand out” applicant. The same thing goes for selecting a boyfriend/girlfriend relationship or a marriage. Who wants to date or marry someone who they feel doesn’t “stand out” in their mind? So instead of fighting your differences, be happy you’re different. If you look back in history at the best leaders, you will men and women unafraid to express their uniqueness. Usually it’s not hard to determine your differences, but it can be hard expressing your differences. You can be aware of the fact that you are different, but be completely ashamed of it. Question: What makes you different? And how does it make you a better leader?